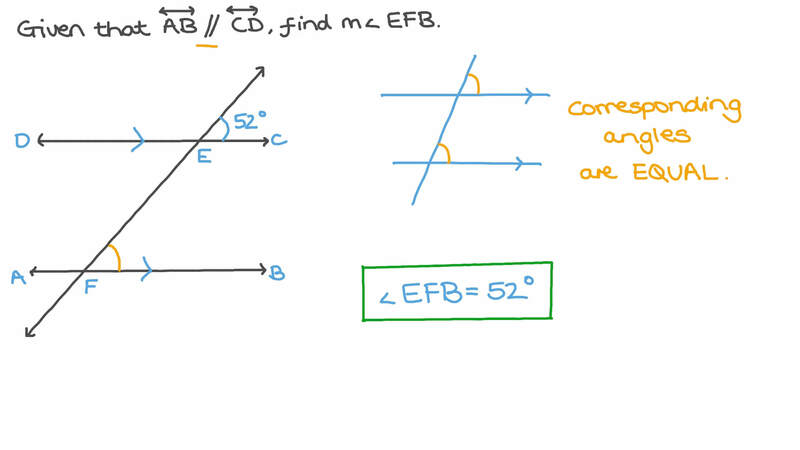 In this lesson, we will learn how to find the measures of missing angles using parallel line theorems. 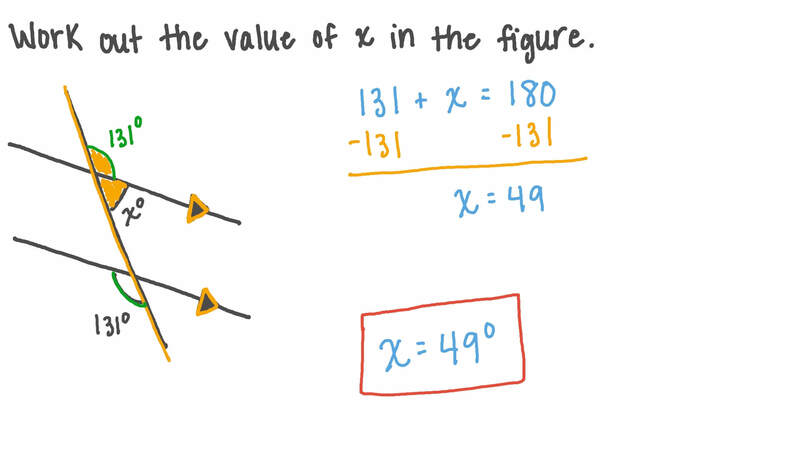 Work out the value of 𝑥 in the figure. Given that ⃖     ⃗ 𝐴 𝐵 ∥ ⃖     ⃗ 𝐶 𝐷 , find 𝑚 ∠ 𝐸 𝐹 𝐵 . In the figure ⃖     ⃗ 𝐴 𝐵 ∥ ⃖     ⃗ 𝐶 𝐷 . Find 𝑚 ∠ 𝐸 𝐹 𝐵 . In the figure below, find 𝑚 ∠ 𝐴 𝐵 𝐶 .